All connecting rod and main journal bearings that have beenused in a running engine must be replaced. 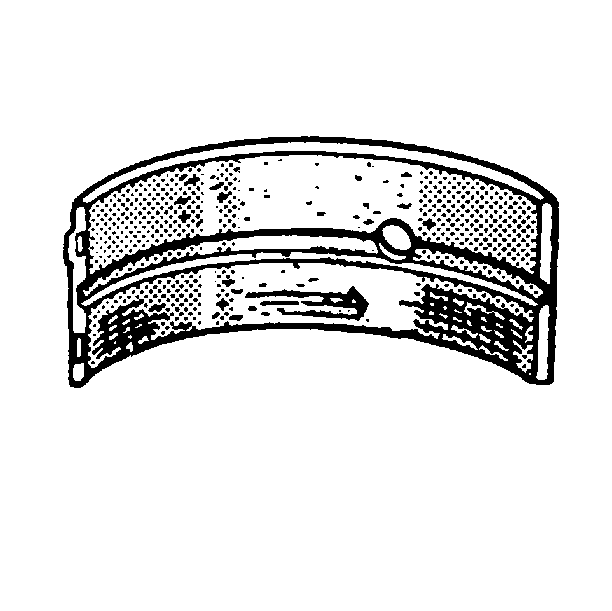 Never re-usethe crankshaft or connecting rod bearings.The following bearing wear conditions should be used todiagnose engine operating conditions or root cause of acondition.Inspect for fatigue indicated by craters or pockets.Flattened sections on the bearing halves also indicatefatigue. 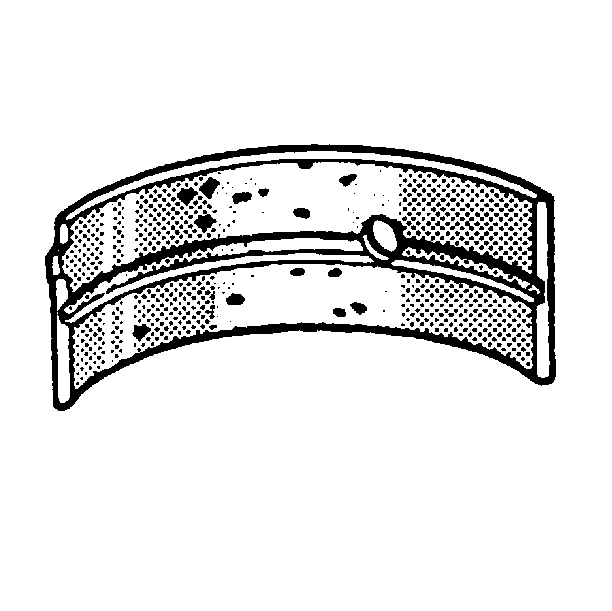 Inspect for excessive scoring or discoloration on both frontand back of the bearing halves.Inspect the main bearings for dirt embedded into the bearingmaterial. 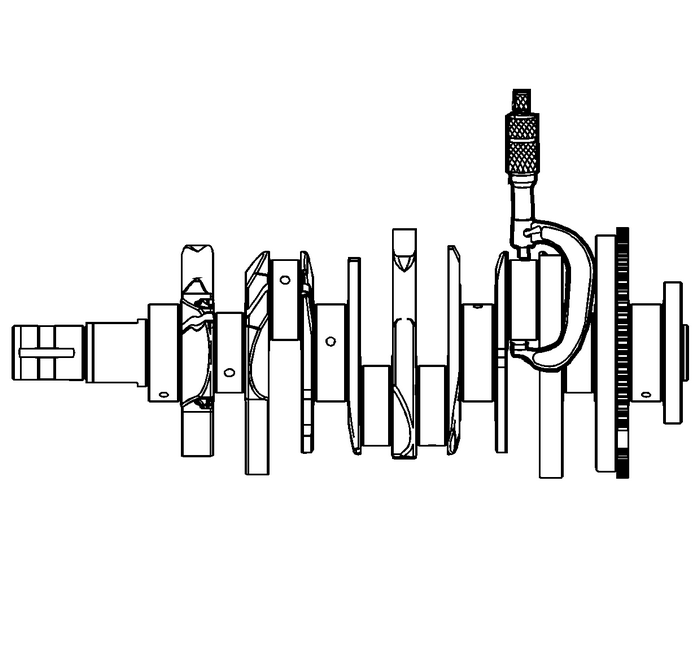 Using a suitable fixture, support the crankshaft. Install theGE 7872indicator.Measure the crankshaft runout using theGE 7872indicator. Refer toEngine Mechanical Specifications. 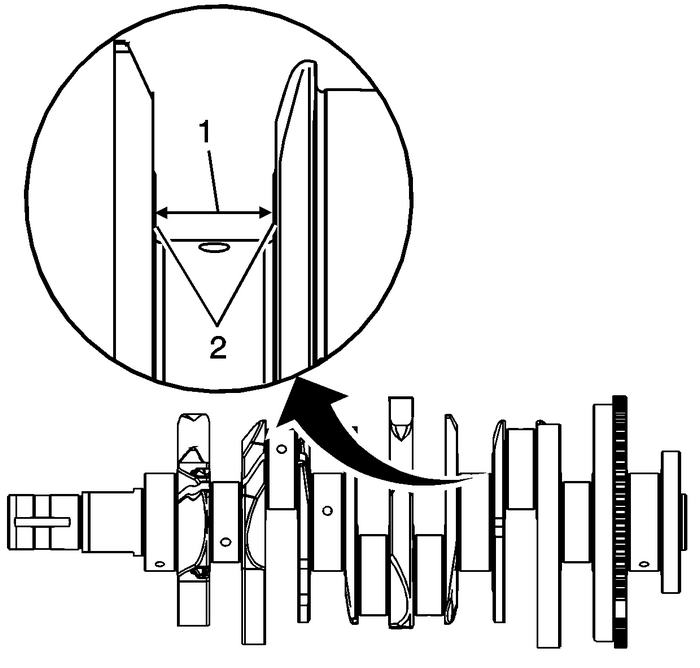 Measure the crankshaft thrust wall width-(1) forwear using an inside micrometer. Refer toEngine Mechanical Specifications.Measure the crankshaft thrust wall surface-(2) forrunout using theGE 7872indicator. 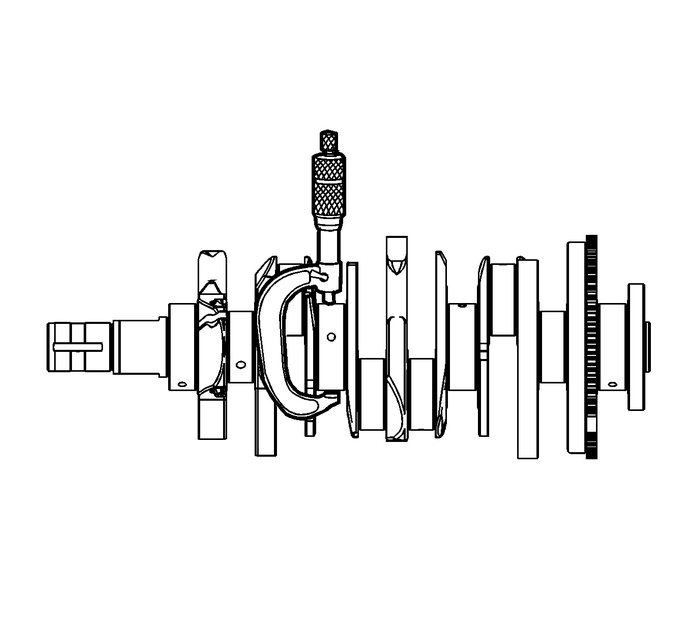 Refer toEngine Mechanical Specifications.If the crankshaft journals are damaged or worn beyondspecifications, the crankshaft may be ground 0.25-mm(0.010-in). There is only 1-size of oversizedmain bearings available for service. 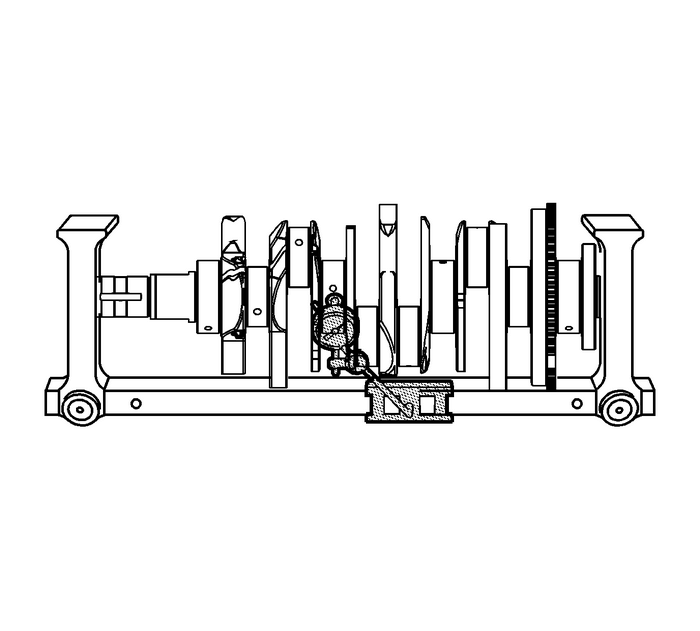 Inspect the crankshaft main journals for undersize, using anoutside micrometer. Inspect the crankpins for undersize using an outsidemicrometer.Compare your measurements with those listed in theEngine Mechanical Specifications. 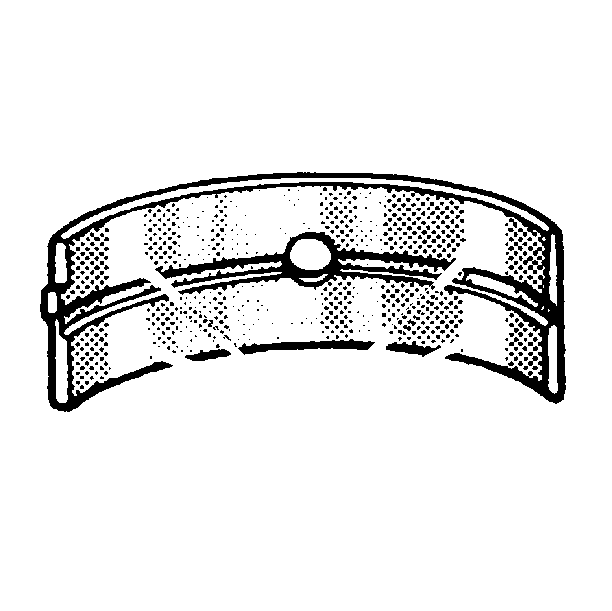 If the crankpin journalsare worn beyond the specifications, the crankshaft may be ground0.25-mm (0.010-in). There is only1-size of oversized connecting rod bearings availablefor service. 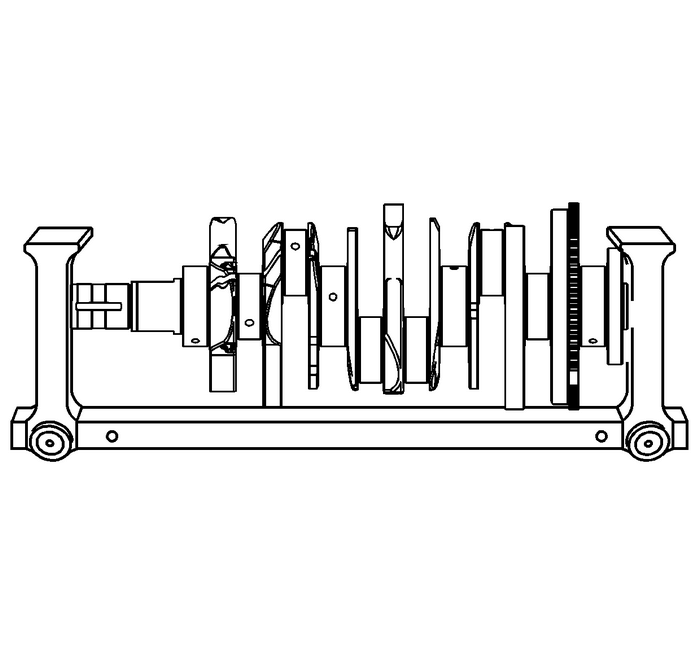 Measure the main bearing and crankpin journals forout-of-round using the followingprocedure:Using an outside micrometer, measure the journal at theextreme front and rear locations on the journal. Call these pointsA and B.Measure the journal in 2-new locations exactly90-degrees from the first points. 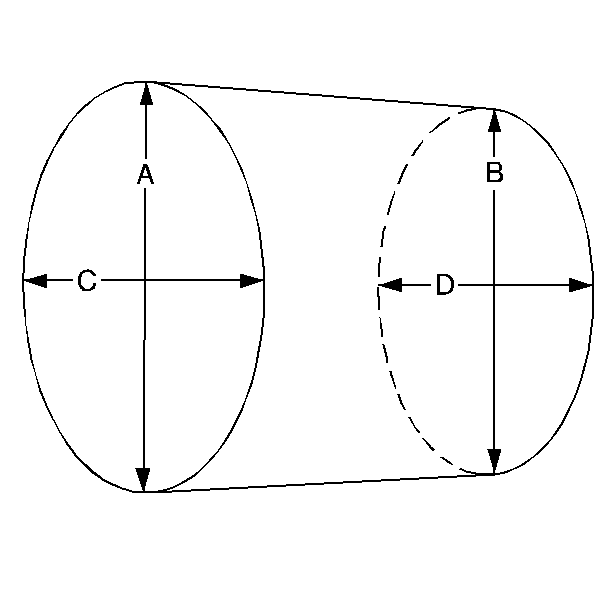 Call these points Cand D.Subtract A from C and B from D. The differences will indicatejournal out-of-round.The out-of-round should not exceed0.004-mm (0.00016-in) maximum.If the journals are worn beyond the specifications, thecrankshaft may be ground 0.25-mm (0.010-in).There is only 1-size of oversized crankshaft andconnecting rod bearings available for service.Measure the main bearing and crankpin journals for taperusing the following procedure:Using an outside micrometer, measure the journal at theextreme front-(A) and rear-(B) of the journalparallel to the crankshaft centerline.Subtract the smallest from the largest measurement. 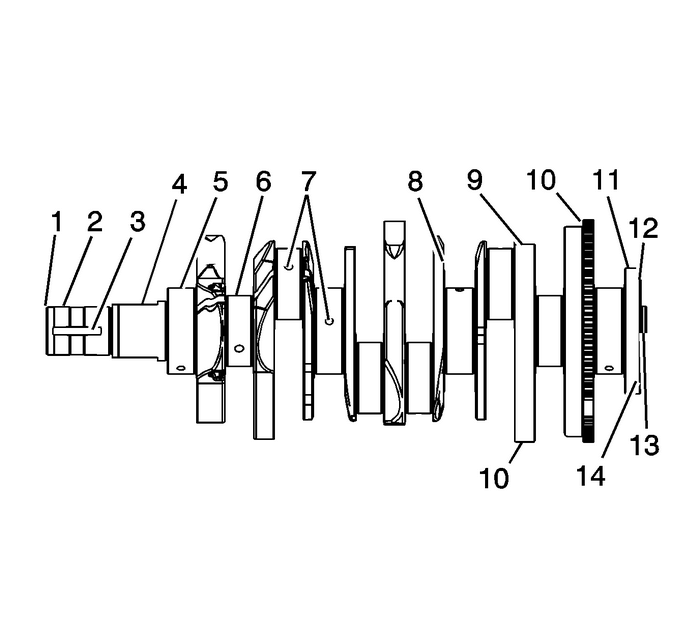 Theresult will be the journal taper.If the main bearing journal taper exceeds 0.004-mm(0.00016-in), replace the crankshaft.If the journals are worn beyond the specifications, thecrankshaft may be ground 0.25-mm (0.010-in).There is only 1-size of oversized crankshaft andconnecting rod bearings available for service.